Vastex has released its new E2-CTS Computer-To-Screen exposing unit which provides a high speed, space-saving solution for shops that create print-ready screens using computer-to-screen digital printers. Digitally printed CTS screens slide on edge in position for secure, light-tight exposure without the requirement for glass panels, vacuum hold-downs or rubber blankets that are associated with conventional exposing units. Vertical orientation of the CTS unit needs about a third of the floor space of horizontally oriented designs. Touch-screen operation and adjustable screen guides enable the operator to choose the screen size to be exposed, by sliding the screen into the chamber and exposing it. The E2-CTS unit offers up to 10 exposure settings that can be stored as pre-sets for rapid production. The high-output LED light pack has 6, 76cm light bars that exposes screens in seconds whilst simultaneously producing high resolution half tones up to 85 LPI with sharp detail in ultra-short exposing times. The unit operates effectively at 20% of the necessary power required for metal halide, offers uniform lighting intensity cycle-to-cycle and stays cool during operation. The unit is mounted on strong full-width legs with castors for mobility and accommodates screen sizes up to 60cm x 90cm O.D. and is available for 120V or 240V. The E2-CTS unit is covered by a 3-year warranty against manufacturer’s defects and a 5-year warranty for the LED lights. 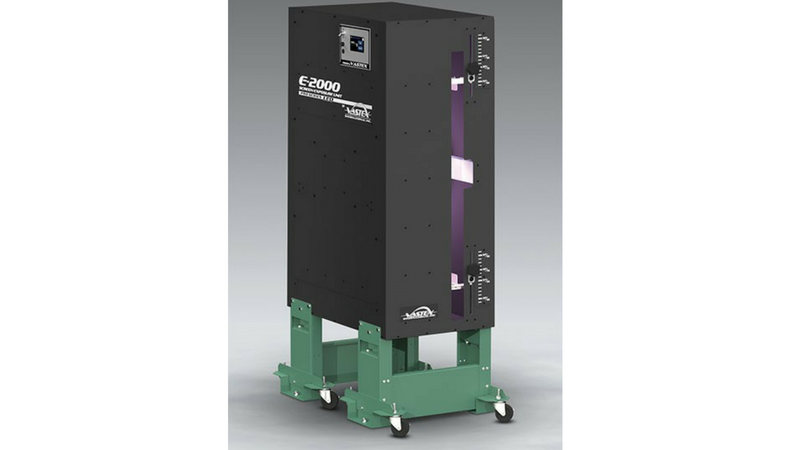 Vastex also offers 9 additional models of exposing units from small, entry-level ultraviolet light boxes to ultra-fast, extra-large LED models to accommodate any screen exposing requirement.